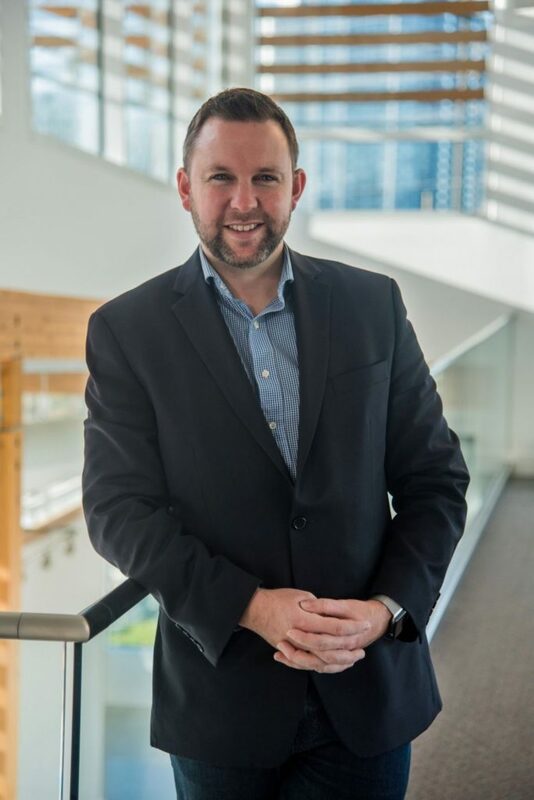 Our goal is to offer meaningful connections and sustainable solutions to the problems of addiction and homelessness in the community. 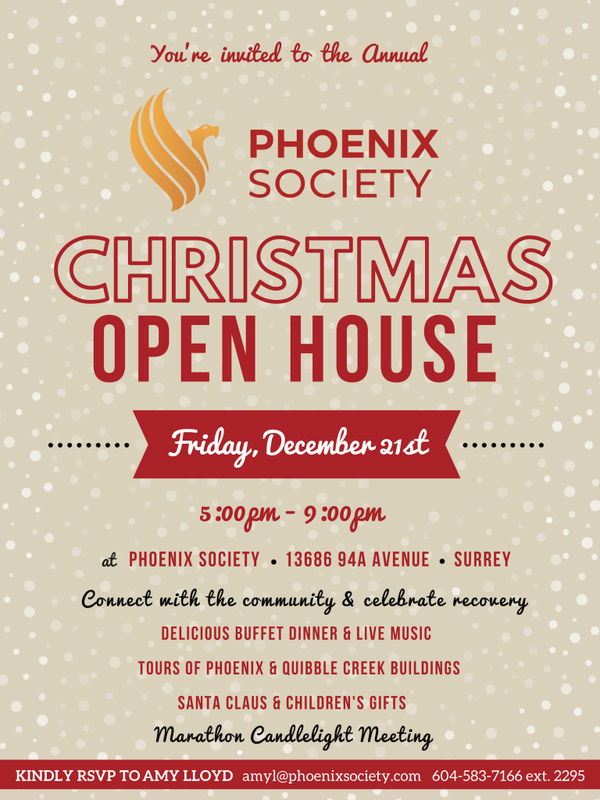 Phoenix Society is located in Surrey, BC. 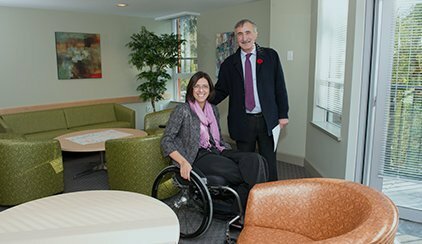 We help people all across BC, with a majority from lower mainland area. We are centrally located and easily accessible by transit. Phoenix Society is dedicated to social innovation and community initiatives that help participants exit the cycle of addiction and homelessness. The Phoenix Society is a not-for-profit society that became a registered charity in March 1992. As a registered charity, we focus on developing partners, building community capacity and offering meaningful and sustainable solutions for individuals. 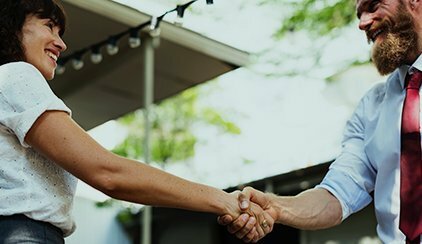 The focus of treatment is ultimately on healing and restoration through the development and fostering of healthy relationships, while supporting individuals to identify and build on their own unique strengths, resilience, and personal values. 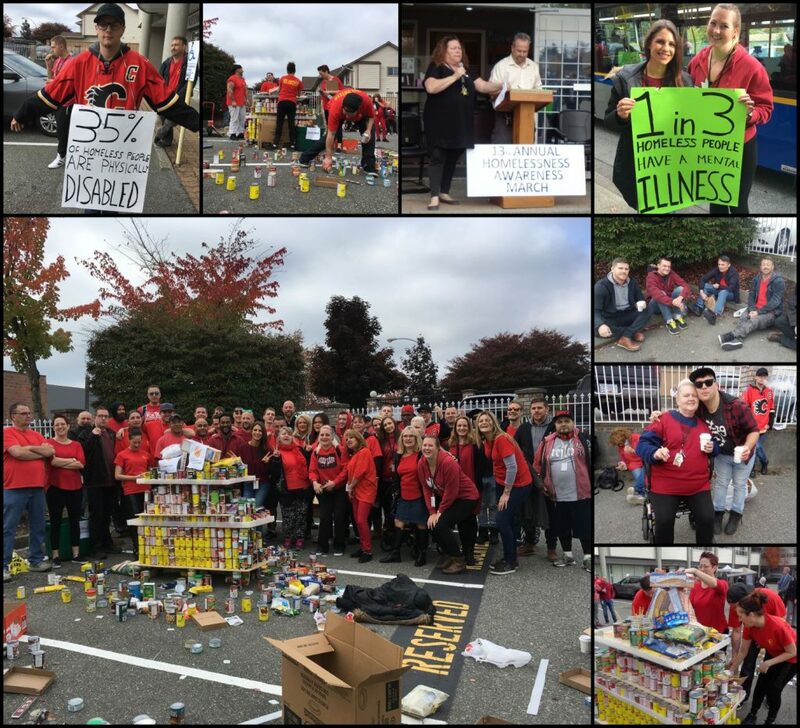 The mission of Phoenix Drug & Alcohol Recovery & Education Society is to encourage and assist British Columbians in achieving personal, family and community health, free from substance misuse. Some 82% of our participants finished the addiction services program, without returning to substance misuse. Participants achieved this success even while facing challenges like homelessness and criminal charges. Phoenix promotes health and wellness in the community by creating inclusive learning spaces where participants uncover their strengths and realistically appraise their challenges. 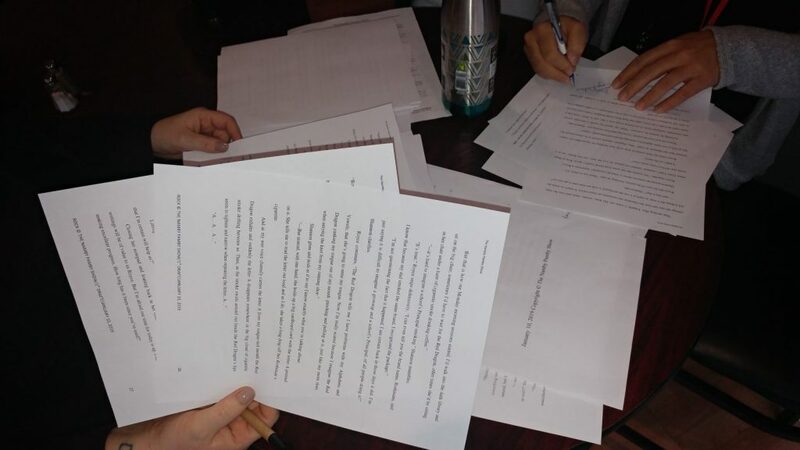 Then, they move to action planning with the support they need to advance toward fulfilling their life goals. Since our founding in Surrey, British Columbia, in 1989* we have worked with more than 30,000 participants. A strengths-based approach which helps you shift focus from what’s wrong to what’s strong. Well this is my second time here and it has been very different from the last time. I have been clean now for 6 months and WOW is it great. At the end of the day, a lot of them [Residents] have thanked me for being there. They knew I wasn’t there just to get my pay cheque and that I actually care. To me, it’s never been just a job. I like to think of us as a tribe, the goal of a peaceful existence is our fire in the middle of the room. I can say with confidence that this is , by far, the most influential centre with which I have worked. WORK it is, not without notable life altering rewards though. I have never finished a full set of 12 anonymous steps, but the model of recovery that is shared here [Phoenix] had lead me to living the steps on a daily basis. My personal experience since I've been here will impact me inspirationally for the rest of my life. Myself and others have come from a pitiful, incomprehensible, and a demoralizing way of life. Here being clean and sober is, indeed, a vision of hope. My time there allowed me to overcome my fears and anxiety and to regain my mental well-being. I can’t say enough how great this program is and how important it is to have this type of housing available. I lost my job, my home, my family and friends to my addiction. Now I have a good future ahead of me. 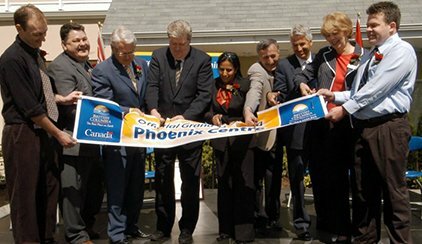 The Phoenix Centre is the Society’s first design prototype of an integrated addiction services centre based on a collaborative community social and economic development model. 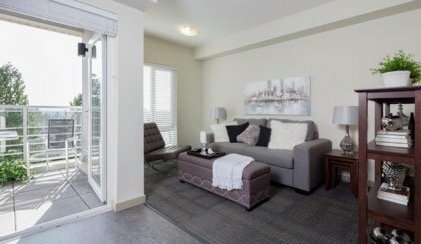 Quibble Creek offers 52 furnished studio apartments and additional services designed to provide safe, structured and affordable post-treatment transitional housing. The Rising Sun project provides a socially innovative housing continuum including 23 Affordable home ownership studio strata units, 18 studio transitional housing apartments and more. The Social Innovation Centre includes Gallery space and large Community Gardens designed as interactive spaces that promote the social, cultural and economic well-being for Surrey residents. Phoenix Society is dedicated to social innovation through community initiatives. Come join us for good food, community building, Santa and check out our site!